If you have come to the conclusion that your marriage/civil partnership has broken down, we can take away the burden of dealing with the legal formalities involved. You have to be married for at least 12 months before you can issue divorce proceedings in England and Wales. The only way a marriage can end before that time is through an annulment, for example where the marriage has not been consummated or there is bigamy. Irreconcilable differences is not a ground for divorce in England and Wales. There is only one ground for divorce/civil partnership dissolution in England and Wales and that is that the marriage has irretrievably broken down. At the present time there is no such thing as a no-fault based divorce in this Country. There have been calls from Senior Judges and other members of the legal profession for a change from the current regime to include no fault divorce. If no fault divorce becomes legal in England, couples will be able to divorce without having to apportion blame. At present, even if couples are amicable about their separation, unless they have been separated for two years or more, it is necessary to cite unreasonable behaviour which can often require dredging up painful memories. No fault divorce would mean that it will no longer be necessary to air personal and often embarrassing facts as evidence of unreasonable behaviour, in order to get a divorce. There is to be a second reading of the no fault divorce private member’s bill in Parliament on 11th March 2016 where this issue will be considered further. However, until such time as no fault divorce is legal, divorcing couples in England will have to cite one of the existing facts listed above. We will discuss with you the appropriate fact to be relied upon for divorce/dissolution and thereafter guide you through the whole process with an understanding and sensitive approach. There is however, no such thing as a ‘Quickie Divorce’. 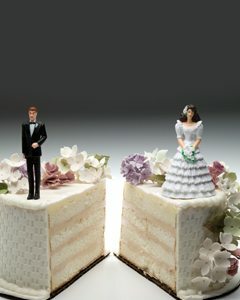 Whilst no two divorces are the same, the average divorce can take between four and twelve months to conclude. Others can take considerably longer either because of the parties or the issues that are involved. The divorce process itself can be concluded in a matter of months but if there are financial issues to be dealt with, this can make the process longer. For further information or to arrange a FREE CONSULTATION with a Family Divorce Solicitor in Woking please contact June Reid at jmr@wdavies.com or telephone 01483 744900.